Welcome to Sermon Notebooks Online, where you can browse a GALLERY of images of sermon notebooks, read a TRANSCRIPTION of a set of sermon notes, view FREQUENTLY ASKED QUESTIONS sermon notetaking, find RESOURCES for further study, or GET INVOLVED with creating and perfecting new transcriptions. You can also read more about the book in this interview at Common-place.org. 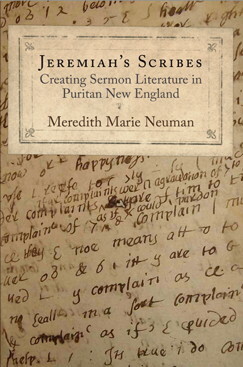 This project has developed out of my work with the notes taken by auditors in seventeenth-century meeting houses in Puritan New England. After finishing my book on sermon notebooks and sermon literature, I decided to see if I couldn’t make these idiosyncratic manuscript sources more available for students and researchers.